​Tai Chi consists of slow, low-impact movements of the limbs and torso, coordinated with conscious breathing. It is one form of Chinese Martial Arts that was originally developed for self-defence, and to keep military personnel in shape when they were not fighting. However, it is now is practiced by millions of people around the world for health and longevity. There are a number of different styles of Tai Chi. 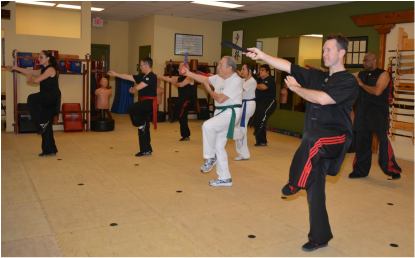 The most well-known style is the Yang style, which is practiced by 10 times more people than all other martial arts combined. You can see groups of people practicing this style early in the morning in the parks in China, and in cities around the world. The beauty of Tai Chi is that it can be learned and practiced by anyone at any age, and can be tailored to the abilities of the student. This is especially important for seniors, or people with physical challenges, that would otherwise hesitate to become involved in physical movement.